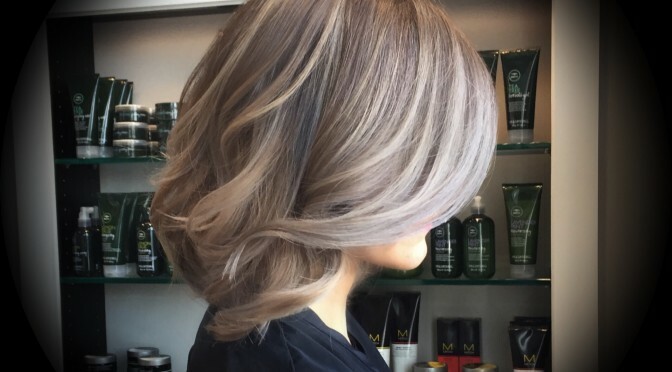 I want gray hair! As hairdressers, these are not words we are used to hearing. But as of recently, there has been a huge spike in interest in soft, blended, beautiful pastel shades amongst clients. One of my favorite shades from this new trend is gray-silver—it’s been showcased nearly everywhere on social so I had to give a go myself. 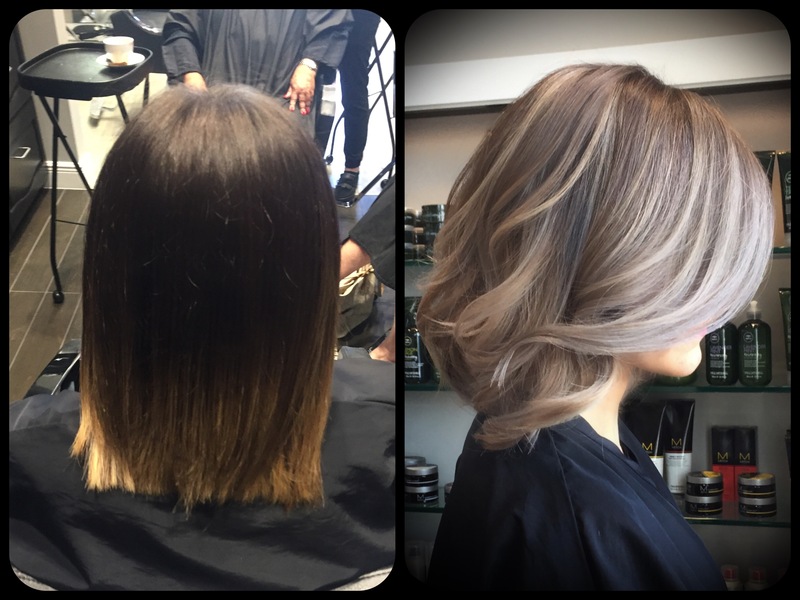 Below is a step-by-step for the gray color I created for my salon guest. Your canvas needs to be light enough to get a true gray. An ideal level for a gray is a 10 or above (you need to be past the yellow of a level 9). If you are blending different levels together like in an ombre, the tonal bases need to coordinate. That sometimes involves deepening and cooling off the darker levels. Toning twice gives the gray more staying power, for instance I used the Ultra Toners and then top-coated with PM SHINES. I did a super heavy full foil. Taking very small woven sections allowed me to get a high percentage of the hair lighter while still preserving the depth at the root. The high percentage of lighter pieces at her base gave an overall lighter tone and blended the line of the ombre. I used Paul Mitchell SynchroLift, 20 vol for the highlights and 6a5n (2;1) PM SHINES at the root to cool off her base color. I then hand painted all of the ends outside the foils with SynchroLift and 30 vol. I let all the light pieces reach a level 10. I rinsed and shampooed with Color Protect® Post Color Shampoo. I then toned with Paul Mitchell the color 10a, 3 Blue Color Shots, 10 volume. I let the color process for 10 minutes. Next, I rinsed and shampooed, and then used a second toner of PM SHINES 9a9v (2:1) with 3 blue Color Shots and one Violet to achieve the final overall gray tone. Finally, I shampooed and conditioned with the new MarulaOil Rare Oil Replenishing Shampoo and Conditioner and styled her new look with the Express Ion Curl® Xl. 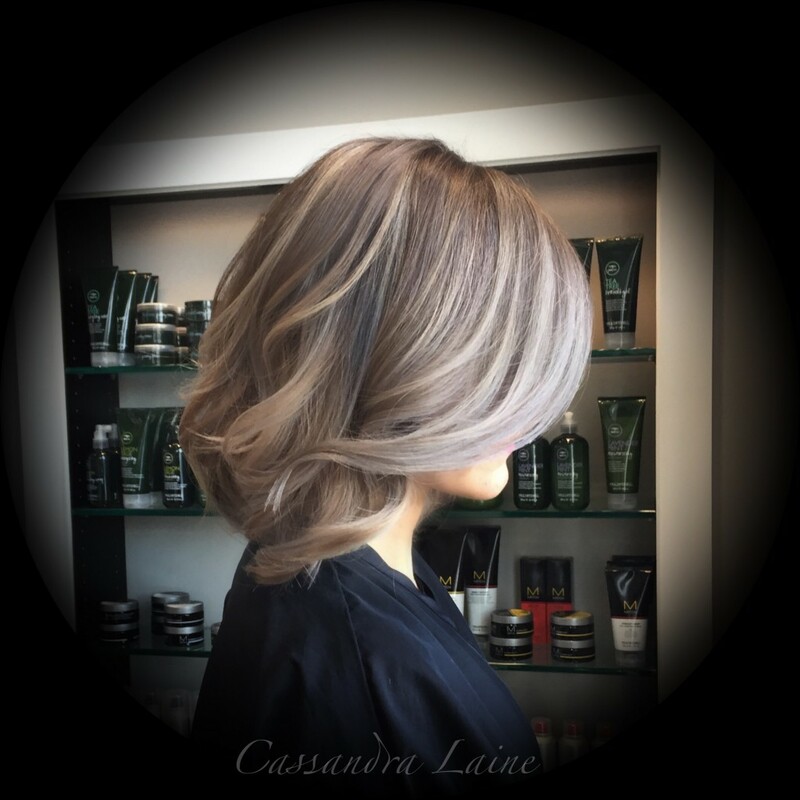 I love creating different pastel colors using all the tools in our Color BarSM and this shade came out really beautifully. I hope you feel inspired to give the silver-gray hair trend a try!